New York, New York, Feb. 01, 2018 (GLOBE NEWSWIRE) — Publicis Health, a division of Publicis Groupe, today announced the elevation of Alexandra von Plato to the role of Chief Executive Officer for Publicis Health, effective immediately. Ms. von Plato previously served as Global Group President for Publicis Health’s worldwide communications and media agencies. In her new role, she will be responsible for leading all Publicis Health businesses across the globe. Nick Colucci, who served as CEO of Publicis Health since 2007, will act as Chairman of Publicis Health until the end of 2018, and will take on the new role of Chief Operating Officer of Publicis Communications North America, also effective immediately. In his role as Chairman of Publicis Health, he will serve in an advisory capacity to Ms. von Plato, who will lead day-to-day operations of Publicis Health worldwide, and he will continue to report to Arthur Sadoun, Chairman & CEO of Publicis Groupe. “Alexandra is a proven leader whose transformational business thinking and ability to create, build and inspire teams is unmatched. As we turn the page to a new chapter for Publicis Health, I can think of no one better suited to take the reins than Alexandra,” said Nick Colucci, Chairman, Publicis Health and COO, Publicis Communications, North America. “The entire healthcare industry is undergoing massive changes, and healthcare marketing and healthcare sales models must change, too. I’m energized and ready to take on the challenges ahead and transform Publicis Health into a Healthcare Engagement Platform for the future. I thank both Arthur and Nick for their confidence and support in trusting me with this role,” said Alexandra von Plato, CEO, Publicis Health. Ms. von Plato began her career as a television and commercial producer, playing key roles in the success of several award-winning, next-generation communications and media businesses, including Current Communications Company, Medical Broadcasting Company, and Digitas Health. 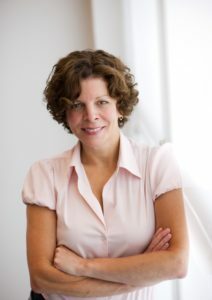 She has overseen the development of groundbreaking brand marketing initiatives and programs for leading life sciences, biotech and wellness companies, including Johnson & Johnson, Pfizer, Target, Nestlé, and Weight Watchers. As a business leader, Ms. von Plato has driven consistent performance through a commitment to building strong teams and enduring client relationships. Her expertise in healthcare, creative innovation, and marketing have made her a sought-after contributor at industry-leading events, including TEDMED, Cannes Lions Health, CES Digital Health Summit, Advertising Week, Advertising Women of New York, Digital Content Newfront, m.Dot Mobile Innovation and ThinkDigital.